Every so often, a work is encountered which marks a special point in our journey through art historical knowledge. Previous titles having this effect were Edgar Wind's Pagan Mysteries in the Renaissance and Francis Haskell's History and Its Images. Since reading Marcia B. 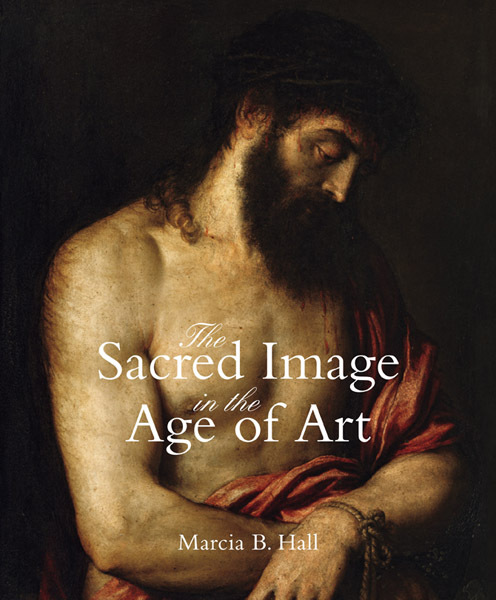 Hall's The Sacred Image in the Age of Art, my great belief that art history has the potential to unify ideas and modes of thought via the force of history has been given a resounding affirmation. As explored in previous articles, a degree of negativity ascribed to aspects of art history academia presents challenges, even barriers to knowledge and collaboration. Issues such as the exploration of thematic sources, the effects of contemporary historical events and an artist's internalisation of their role as interpreters of history via the image have come into question. It was hence a breath of fresh air to find Marcia Hall gladly engaging each of these topics. Whatever may be happening in certain corners of art history academia, readers of this book will only experience a refreshing positivity and enchantment with the topics being discussed. 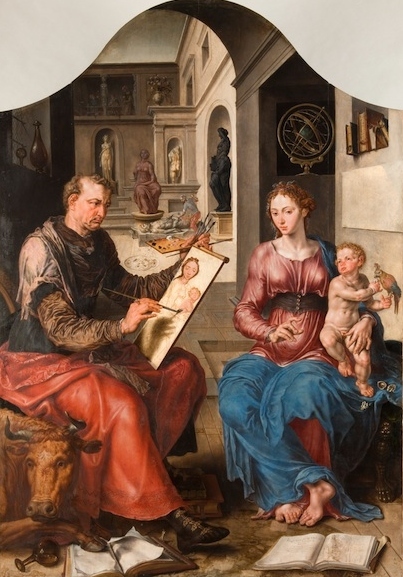 A wonderful example of this multi-factorial approach is Martin van Heemskerck's Saint Luke Painting the Virgin's Portrait, completed circa 1553. There are so many wonderful things happening in this image, the references to classical antiquity in the statues and architecture, to knowledge and the sciences in the books and implements. It is also a brazen display of the artist's own prominent role in the psychology of his own work, depicted in the shadow of the painter's hand and brush across the facsimile of the Virgin. This relatively obscure work, best known to scholars is a superb example of the many elements artists may draw on, both internal and external factors to produce a work that speaks to them, their patron and the ages. It is only through understanding this unity of myriad elements that we may come closer to best appreciating the ingenuity of a work and an artist. It is this revelatory approach which Hall applies across the entirety of this volume. The great danger when reviewing a work that is so thoroughly impressive is to fail to describe it any rational detail. Hence I will attempt to summate what this book is and isn't for those considering its suitability for their academic or personal libraries. The Sacred Image focuses on the Renaissance and Baroque. It hence does not include an assay of Early Christian or Byzantine approaches to sacred imagery. The crucial event at the heart of this work is the ruling of the Council of Trent on sacred images in 1563. This is known as the Decree of the 25th Session, and is included in the appendix of this volume. For those curious, an online transcript can be viewed here. Relevant sources, particularly from the transitional period between the late Medieval and Early Renaissance periods are examined. Although the sub-title of this work refers to Titian, Tintoretto, Barocci, El Greco, Caravaggio - I would like to state that this title(perhaps appended by the publisher?) is somewhat incomplete as Hall not only gives us an account of artists and events before Titian and the High Renaissance, she also journeys across the Alps and takes us deep into Northern Renaissance art and history. 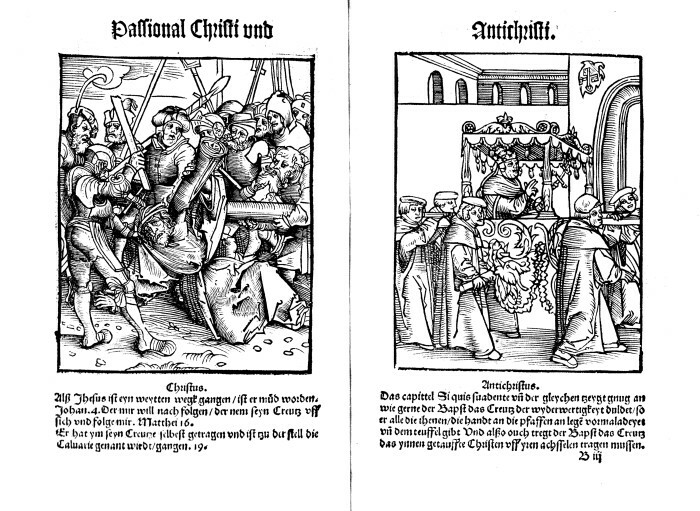 This included a fascinating exploration of works that are less well known - but vivid examples of the tensions that fueled the Reformation in its protest against the Papacy in Rome. The Passion of the Christ and Antichrist woodcuts by Lucas Cranach the Elder depict episodes of Christ's humility and suffering contrasted against the decadence of Medici Pope Leo X - strongly criticised for selling indulgences to help finance the construction of Saint Peter's Basilica. One of the most delightful, recurrent themes in this work are the references to artists' capacity to insert elements to instruct, enchant and perplex the viewer and patron. The mechanics of this deliberate ambiguity are often omitted from discussion of Renaissance art, and it was remarkable to see it included here as part of the unifying approach this work has undertaken. Symbols in the Renaissance are always to some degree disguised to look as if they belong and only become noticeable on closer inspection....such symbols deepened the meaning and extended the viewers' attention as they puzzled over the significance of certain strange inclusions in the painting. Cleverly, to identify sections where discussion enters this territory, the term 'making strange' is employed to great effect. This term is most commonly used in modern art theoretical discussion, and is derived from the 'estrangement' or defamiliarisation described by Russian Formalist author Viktor Shklovsky in Theory of Prose in 1925. This approach is rarely encountered in discussion by Renaissance specialists. There is some precedent for discussion of this concept applied to Renaissance art, but this is predominately accomplished by writers who are essentially outside the field of art history. It is made quite clear in the introduction that this is a new approach for the author as well. I found it to be a successful way of delineating this element amongst the many other threads of discussion. In fact, noting 'making strange' or 'strangeness' in the index is a great way to quickly find these elements dispersed through the book. I cannot comment on what an expert in Formalist writing would make of Hall's appropriation of the term, but personally found it quite useful. It was also refreshing to see the influence of external disciplines in Renaissance studies, without it becoming mired in new jargon and concepts to further confound the reader. This discussion also considered the shifting use of artistic devices to differentiate sacred space from an earthly realm. Deliberate irregularities in perspective, or scale of figures were visual cues used by artists such as Jan van Eyck and Fra Filippo Lippi. The hardcover edition is a large format book, beautifully arranged and printed. Emily Lees is credited as the designer, and I am pleased to mention her name as it is truly a marvelous volume to behold and peruse. The images and typography are all delightful to the eye, with many colour plates, often full page images normally seen in catalogue volumes. Even with its lavish catalogue style presentation, this book is very much designed to be read from start to finish, rather than a lexicon you can jump in and out of. There are finite sections and parts, but organised within a unifying framework that tackles issues of sacred art and the impact of historical events in chronological and regional fashion. Hence, you will read about Florence and Savonarola first, then the effects on Florentine artists at the time, and immediately afterward, radiating out into Rome, Parma and the rest of Europe in time for the section looking at the Reformation. Having led us on a varied and exciting journey through the Renaissance and Baroque reactions to the sacred image, the impact of Savonarola, the Reformation and the Council of Trent across Italy, Spain and beyond, a conclusion is included to categorically state the author's position. I found this to be a useful addition. On reflection, a great deal of Hall's presentation has great parallels with a more precise, scientific modus of reporting. In the introduction, she clearly states her aim, where her book will take us and why it is important. In subsequent chapters we are presented with the details - social history, political history, psychological factors all come into play. Their impact and outcome are assessed, just like the result of an intervention in formal scientific reporting. Finally, the conclusion provides the reader with a condensed version of all that has preceded, and the author's final position. To anyone that has read or written a scientific report, this structure is unmistakable. 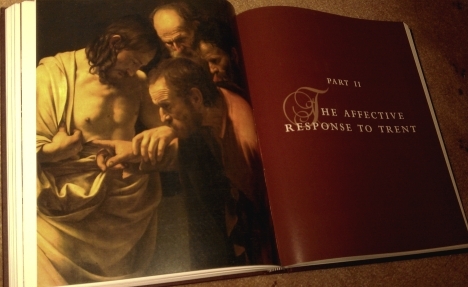 It is fascinating to see it in an art history volume. It would be interesting to know if this was a conscious decision, or simply if Hall is naturally precise in a manner befitting a scientific inquiry. This being said, it should be emphasised that the text itself is engaging and exciting, not an easy feat when operating within a well structured format. I can do nothing than other than heap praise on this amazing volume! It is the culmination of work spanning almost a decade, a superlative achievement at every level. Hall's approach is one I hope becomes an enduring standard for art historical scholarship. A carefully crafted mixture of captivating, accessible writing, encompassing history, art and politics as intertwined social and psychological phenomena. It contains the suggestion of the great power of art history to be a culmination of the work of many disciplines, something which we hope can transfer into the study of art history in current and future generations. It is an imperative addition to list of titles on the Renaissance and Baroque that quite simply, help define and enrich the genre. Many thanks to Yale University Press, Alexa and Natalie from Inbooks for supplying a review copy. Thanks for a really comprehensive review. It's obvious that you put a lot of effort into it. The review makes me not only want to read, but also to buy the book. Cheers Frank. You will most definitely enjoy the wonderful sections comparing and contrasting the forces shaping the Venetian Renaissance and its artists' response to Trent. I also enjoyed seeing and reading the elements that commonly influenced Tintoretto and Caravaggio - factors also explored by Andrew-Graham Dixon in his Caravaggio title last year, but in far less visual grandeur than this volume. What a great review. I had no idea that this book included Northern Renaissance art - I'm glad that you pointed it out. Like you said, the title (and image cover) of the book suggest that the topics are only Southern. I also loved the quote you included about disguised symbolism: "they puzzled over out the significance of certain strange inclusions in the painting." This quote would have been a great reference for Lori, the commenter on my blog who asked for a reference about symbolism/detail in my Bruegel post. I want to link this post (and quote) to my site so others can see the reference. Do you remember the page number for that quote, by chance? Hi M! I am pleased you enjoyed the review. That quote is from page 10. It's actually a little longer than that in the book, including a reference to Panofsky and the van Eyck pictured above. The truncated form I used above are essentially Hall's own words. Many thanks for the comments Judy. The observation you have made is an interesting one, the format of the book, to those walking by would make many assume that it is a catalogue volume or 'coffee table' book. I hope there is also a paperback and/or electronic version released. The more people can access this amazing body of work, the better! Great review, H. With absolutely no negativity towards your earlier writing implied, I must say that your writing has really improved. This is a really solid review and I'm impressed at how in the past year you've taken so much time and put much thought into your art history studies. I'm glad you enjoyed Marcia's book - working with her to get the images was very interesting - they are from a wide range of sources, demonstrating the wide reach of her studies. Hello Alexandra! Thank you for your kind comments. Anyone fascinated in knowledge of any sort will readily admit that one can never stop learning and improving! I am constantly going over old posts, re-checking facts and cleaning up language - a luxury afforded by the nature of online publishing. I am pleased you enjoyed the review! I hope to do many more in future, including hosting guest reviewers. Access to great reviews of art history publications should not be restricted to closed publications. The tremendous feedback received so far (public and private) has made the extra work worthwhile! I enjoyed the review. I think you've got the right tone for the web, appealing to the general public as well as the happy few! I was intrigued by Hall's use of defamiiarisation. I have done language and literature courses at college, including the Russian Formalists. 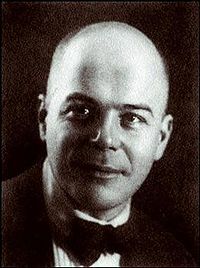 I have occasionally toyed with using Shklovsky's concept in writing on art, but shied away from it for some reason. Linguistic theory has been used in art history before, unsurprisingly mainly in modern art. The best example of this is Francis Frascina's use of it in Picasso, which comes out of the "Art and Language" movement just as much as Saussure and the RFs. It's brave of Hall to use it, and there was no indication that she was going to do this in her earlier books like "After Raphael" and her book on renaissance colour. Sounds like a great book and one that I'd really like to read. I teach the Reformation and Counter-Reformation, but only as part of the art history survey class. I depend heavily on this type of scholarly text--i.e. one that gives me a good overview of material that's only briefly covered in the standard textbooks (Gardner, Stokstad, etc.) So I'll definitely be ordering it for our library at Mississippi State. And, like David, I'm curious about her use of Russian Formalism. Am I correct in thinking that there's a couple of different, albeit often related, types of defamiliarisation at work here: (1) As an interpretative strategy (e.g. a way of finding layers of symbolic meaning in apparently "ordinary" content), and (2) As a deliberate artistic device--a way of signaling an alternative reality to the viewer (e.g. heavenly space versus "normal" space)? Thanks, too, for the useful link to the Council of Trent decree. @David - I thought the incorporation of Shklovksy was also brave indeed, yet perfectly justifiable because its use did not require lengthy exposition or detour into its background, which other volumes are guilty of when they borrow concepts or terms from other fields. @Ben - I am pleased you enjoyed the review and delighted to hear MSU students will be able to avail themselves of this unique work. You are absolutely spot-on in your description of how Formalism was employed and have quite succinctly summarised it. I found this part of the book fascinating. One could easily dedicate an entire volume to 'Making Strange in the Renaissance' - now that would be a book worth reading! This is definitely a book for my reading list. I am particularly looking forward to finding instances of 'strange' symbolism in sacred art. Many thanks for directing me to your posts on Marcia Hall.